If you can't watch it due to GEMA thingy, click here. So, did you give Mother applause after watching it? When I checked on a music video, first thing I do is to turn on the sound. I watch it until finish, and then I rewatch it with muted sound. If I still enjoy it, then I think it's good. If not, unlike in this case, I don't. For me, music video is not a mere moving picture representing or delivering ideas of what's the song is about. It's a pleasure for my hungry eyes looking for artistic amusement. Even though this music video is high-budget, with outfit change no less than fourteen times (which is normal for her). 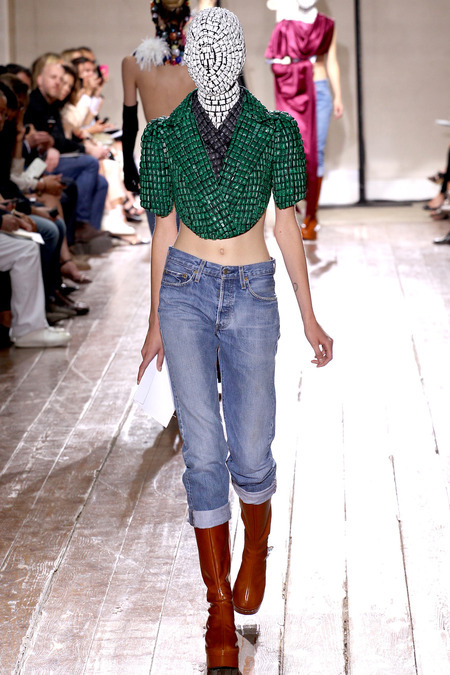 Maison Martin Margiela haute couture fall 2013 (which was shown on runway last month!). 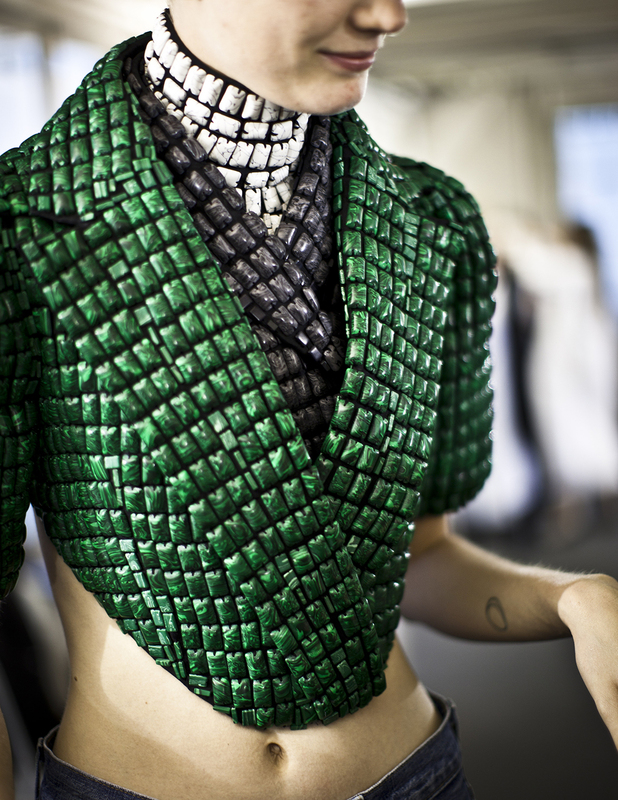 And the last one that I succesfully identified, Jean-Charles de Castebajac Fall 2011.